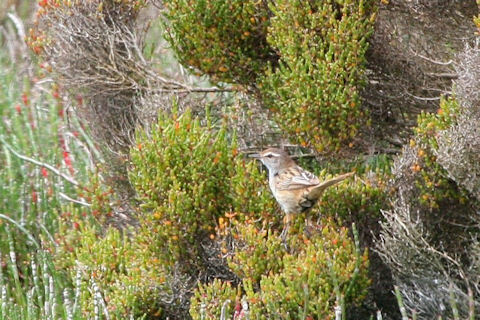 (4) It spends most of its time hidden in bushes (It should be called the Little Bushbird). (5) Said bushes are invariably in boggy areas and I have an aversion to sinking slowly trapped in a sucking quagmire. (6) I'm a lousy photographer (I rather hoped you'd have stopped reading by now).